The Community tool allows staff to connect with and collaborate with others within New Tech Network. Want to find out what projects other teachers in a common subject area or grade level are doing? Use the search feature to find them and open their courses. It is even possible to copy their curriculum to your own course. 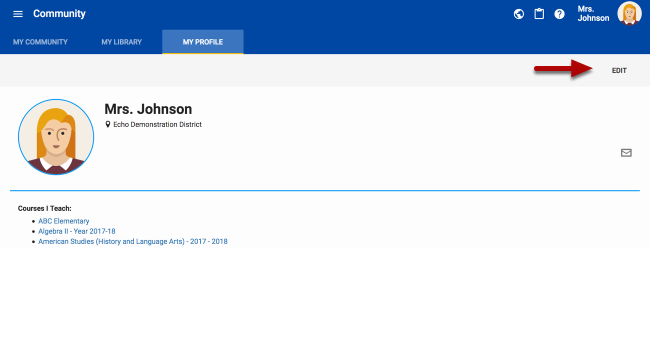 Before exploring The Community Tool, share your profile. 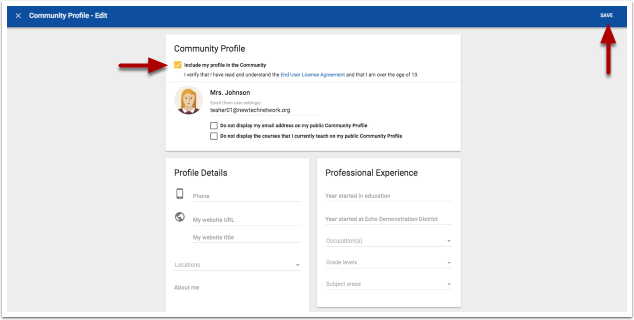 To get the most out of the community tool, each user needs to share their profile. This will allow connections to be made and collaboration to happen. From the homepage click the "menu" icon located in the top toolbar. Check the box that says, "include my profile in the community." Note: The NTN Resource Library has moved to the Main Menu. The "my community" tab acts as a personal dashboard. It is where one can quickly find the resources and profiles that have been bookmarked. How do I search and add community content to my course? How do I search, join, and create groups? Under the 'My Library" tab, are the projects and activities that have been shared by the user to the library or that have been saved to "My Library" while searching the community or profiles. Items that have been saved to "My Library" also show up on the right side of the screen when in edit mode. Easily drag and drop items into a project. How do I add content to My Library? 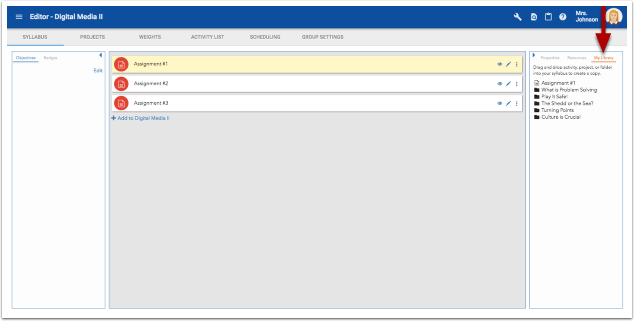 Under the "profile" tab, a user can see what their profile looks like to other NTN users. How do I search for profiles across The Network? 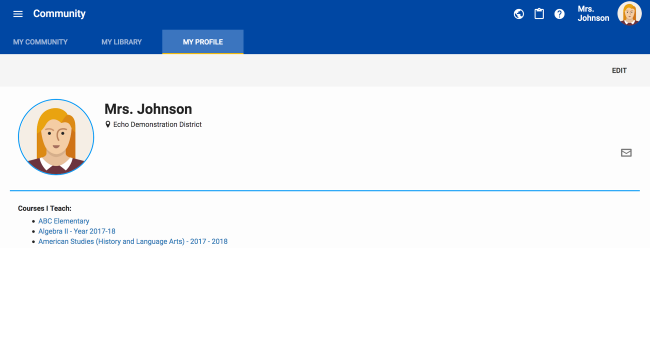 Tip: Fill out profile as completely as possible! Within the "My Community" tab, there is a "Shared Content" window. This is where the items live that the user has chosen to share with the community.